A young programmer thinks he has won a contest to spend the week with, and at the estate of, the head of his company only to discover the real reason why he is there. Domhnall Gleeson stars as Caleb, a smart young programmer who wins a contest to spend the week with Nathan (Oscar Isaac), the rich reclusive head of BlueBook, a company that runs the largest search engine in the world. When he arrives by helicopter at Nathan's remote estate, he discovers that he will be privy to Nathan's experiments in artificial intelligence (AI) and, in fact, was brought to the estate to test how "human" his latest robot is. Nathan introduces Caleb to Ava, a robotic woman, that Nathan wants Caleb to subject to the Turing test, named after Alan Turing, often called The Father of the Computer, and immortalized in the recent film "The Imitation Game." This is a test of a machine's ability to exhibit intelligent behavior indistinguishable from a human's. As Caleb meets with Ava in the series of test sessions, he is amazed at her "humanness" and they interact just as humans would. Caleb starts to have feelings for her, much to his detriment. Oscar Isaac seems to be everywhere these days. From his splash on the scene in "Inside Llewyn Davis" to "The Two Faces of January" to "A Most Violent Year," and soon the upcoming "Star Wars," here he puts in an even more bravura performance as the strange, eccentric Nathan. Likewise Domhnall, who started out as Bill Weasley in the Harry Potter films but became a romantic lead in the charming rom-com "About Time," plays a computer geek who finds himself in over his head (he is also hot right now and will be starring in the new Star Wars movie with Isaac). Alicia Vikander is Ava and makes a most lovely robot. The body make-up is astonishing. Her face, hands and feet seem to be flesh but the rest of her is transparent. You can see the workings of her computerized body. Like "Her," "Chappie" and "2001: A Space Odyssey," this film raises many questions about AI, what makes us human and what can happen when we play God. Alex Garland has deftly written and directed a smart thriller with many twists and turns. Rosy the Reviewer says...another film that ranks as one of the best of the year. If you like intelligent scifi, you will like this film. It's mesmerizing. A serendipitous auction purchase leads to the discovery of an unknown photographer who now has a posthumous reputation as one of our best street photographers. In 2007 John Maloof, who had a penchant for buying items at auction and at flea markets as well as whole storage units, won a box of negatives at auction for $380. He was told who the photographer was - Vivian Maier - but when he tried to Google her, he found nothing. He was struck by how masterful her photos were. He scanned 200 of the photos and created a photo blog to try to find out who she was. His post went "insane." He then found those who had bought the other boxes of negatives at that auction and bought those too. But who was Vivian Maier? Maloof found an obituary and located some people mentioned in it and discovered that Vivian Maier had been their nanny. That led to his finding her storage locker and buying that too. He reached out to some museums for some help with archiving the material and he applied for a show at the Cultural Center in Chicago. 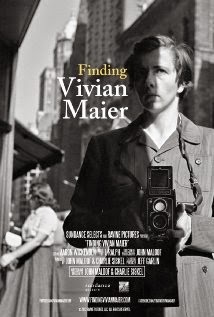 It was a huge hit and the strange story of Vivian Maier took off. Maloof and his fellow director and writer Charlie Siskel ask the questions: why did Vivian take so many photos and why did no one know about her? Vivian Maier was a housekeeper and a nanny (she even was a nanny for Phil Donahue's children for about a year), but her private life was a mystery. Maloof went through all of her things in her storage locker - videos, mementos, collectibles - to try to find out more about her. He interviewed people she worked for and everyone remembers her with a camera constantly around her neck. She also wasn't a Mary Poppins kind of nanny. She could be kind of mean. She was also a hoarder who hoarded her own photographs. She was paranoid, eccentric and eventually fell into mental illness. Today, because of Maloof, Vivian Maier's photographs are hanging in galleries in Los Angeles, London, and cities in Germany and Denmark. But who she really was and why she didn't share her photographs remain a mystery But Vivian Maier got the fame in death that she never got in life. Likened to Diane Arbus, Maier's street photos were extraordinary and she took thousands of them. I absolutely adore documentaries. 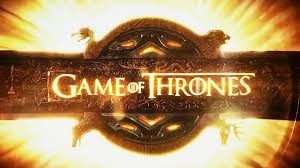 It all began with the extraordinary "7-Up Series" and now I am addicted (must explain my other addiction: reality TV). The film masterfully primes us to want to know more about this eccentric woman and to solve her mysteries. And one can't help but think that Maloof was a bit of an eccentric as well to take on this massive project. Museums were reluctant to show the work of a dead person, but Maloof made it his mission to get her work widely seen. Rosy the Reviewer says...this 2015 Oscar-nominated documentary is a fascinating mystery that also deserves to be widely seen. 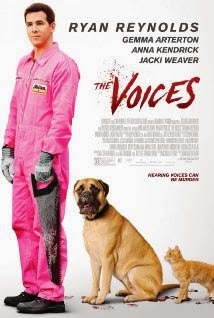 Jerry (Ryan Reynolds) is a likable schmoe with a mysterious past who just happens to live with a talking dog and cat. Jerry works at a bathtub company, Milton Fixtures, in the small town of Milton. He is a nice guy with a crush on one of his co-workers, Fiona, played by British actress Gemma Arterton. Fiona is not interested in Jerry. We also discover that he is on probation, is seeing a court-appointed shrink, has to take meds and has a nasty cat with a Scottish accent, Mr. Whiskers, who berates him all of the time and a bull mastiff named Bosco, who tries to pump him up with his kindly southern drawl. Jerry asks Fiona out on a date and she accepts but then stands him up to go sing karaoke with her girlfriends. On the way home, her car breaks down. It's pouring down rain and Jerry just happens to come by so he picks her up and she apologizes for standing him up. The weather is so bad that Jerry hits a deer. The deer tells Jerry to put him out of his misery by slitting his throat. Yes, you heard me. The deer talked to him. That's Jerry's problem. He hears voices. However, Fiona doesn't so when Jerry slits the deer's throat, that scares the crap out of Fiona and she takes off running. Jerry goes after her wielding the knife and, well, accidents happen. Jerry trips and accidentally kills Fiona. Now Jerry just doesn't know what to do. Bosco the dog tells him he needs to call the police, but Mr. Whiskers, that devil of a cat, tells him not to do that because the cops will arrest him. Just imagine a little good angel on one of Jerry's shoulders and a little bad devil on the other. Bosco and Mr. Whiskers continue to advise Jerry about what to do with the body and it ain't pleasant. He cuts her up into little pieces and puts them in Tupperware containers. Fiona's head is placed in the fridge and now the head is talking to Jerry too, encouraging him to continue to kill because she wants another head to keep her company. A serial killer is born. Ryan Reynolds is definitely trying to shed his rom/com image with this and his recent film "The Woman in Gold." Here he does a good job of playing an endearing guy whose world is much brighter when he isn't taking his meds. Unfortunately, without the meds, he is prone to those damn voices. Reynolds also supplies the voices for Mr. Whiskers and Bosco, who are hilarious. I wish they had talked more. Anna Kendrick plays Lisa, another co-worker who actually likes Jerry and Jacki Weaver plays his shrink. Directed by Marjane Satrapi, known for her comic book-style memoir "Persepolis" and written by Michael R. Perry, this is another dark, bloody comedy similar to "Home Sweet Hell," which I reviewed last week, except this one is better and much more visually appealing, kind of in the vein of "Little Shop of Horrors." However, I didn't find it very funny. One could say this was a satire on psychology, but I think it made light of schizophrenia, which is no laughing matter. Rosy the Reviewer says...a relatively entertaining and stylish comedy if you like your comedy dark and bloody. From the Opening Ceremony to the Closing Ceremony, director Kon Ichikawa captures both the athletic side and the personal side of the 1964 Olympics in Tokyo in this documentary some say "ranks among the greatest documents of sport ever committed to film." Ichikawa captures the tension and drama of the events, the tension and drama experienced by the athletes and the tension and excitement of the crowd. Though I enjoy the Olympics, I am not much of a shot put, weight lifting or wrestling fan, but Ichikawa's camerawork even makes those sports exciting. I am more of a gymnastics girl and his coverage there does not disappoint. "Poetry in motion" comes to mind. 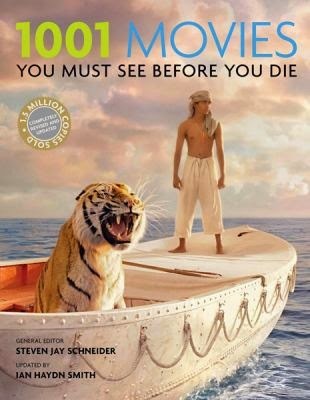 The music used to illustrate and dramatize the film is enjoyable especially with the men on the rings and uneven bars. My one caveat is that this film is two hours and 49 minutes long so prepare. Why it's a Must See: "Kon Ichikawa's record of the 1964 Tokyo Olympiad raised the stakes of epic documentary and achieved a level of artistic reportage subsequent sports programming has been clamoring to minic ever since...Putting action to image...is Ichikawa's strength. Bodies are synecdochically represented with feet, buttocks, or straining neck, turning physical achievement into the very grace of existence. Purposefulness is found both in preparing and executing athletic achievements and, as is often the case in documentary, historicity itself remains indelible." Rosy the Reviewer says...if you are a fan of the Olympics, you will particularly enjoy this but fans of movies in general can appreciate the incredible camerawork and directorial choices that turned this event into art. A retired couple decide they want to live abroad full-time. 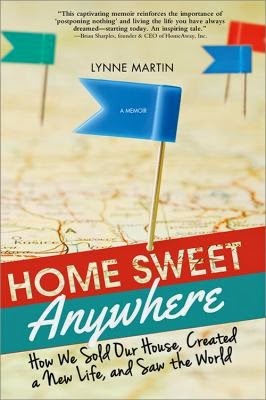 Tim and Lynne Martin are reunited in their golden years and decide to take life by the reins and make the whole world their home. They sell their home and most of their belongings and head for Mexico. That is followed by Buenos Aires, Paris, London, Ireland, Morocco and Portugal where they plan extensive stays and live like the locals. This is a travel memoir, but it also provides practical tips for doing likewise in their chapter "The Learning Curve: Things the Guidebooks Won't Teach You." They tell you what to do before you go such as dealing with visas, mail and health considerations, how to get there and what they learned at each of their destinations. I have always dreamed of doing something like this but I can never figure out what to do with the dogs! Rosy the Reviewer says...this is a must-read for anyone planning on a similar lifestyle but it's also a great read for those of us who can only dream (those damn dogs)! Planning A Trip -- Baby Boomer Style!